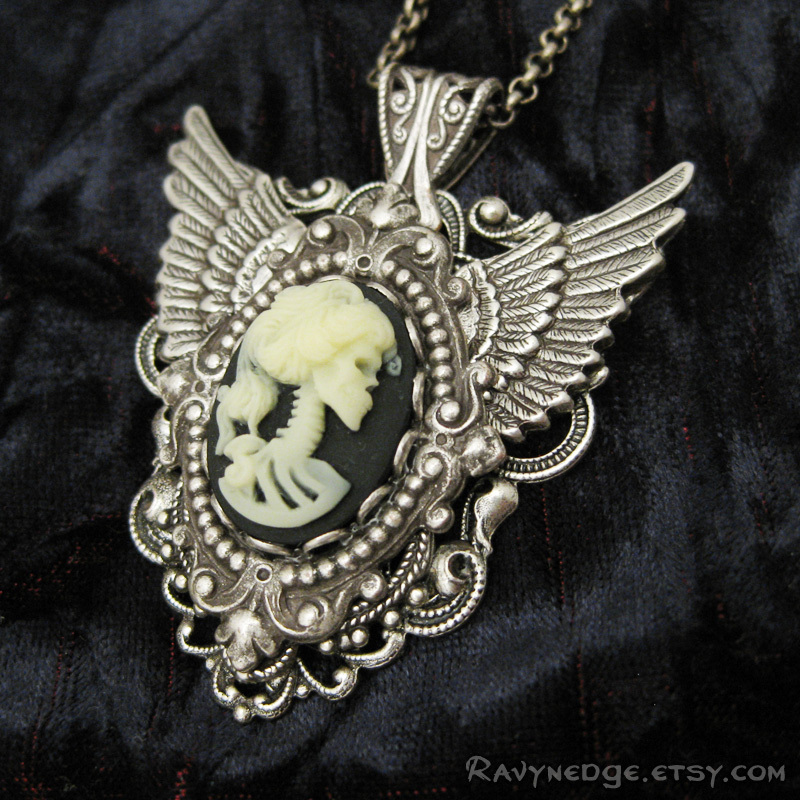 Immortal Requiem Necklace - Skull Cameo and Silver Filigree Winged Pendant by RavynEdge. 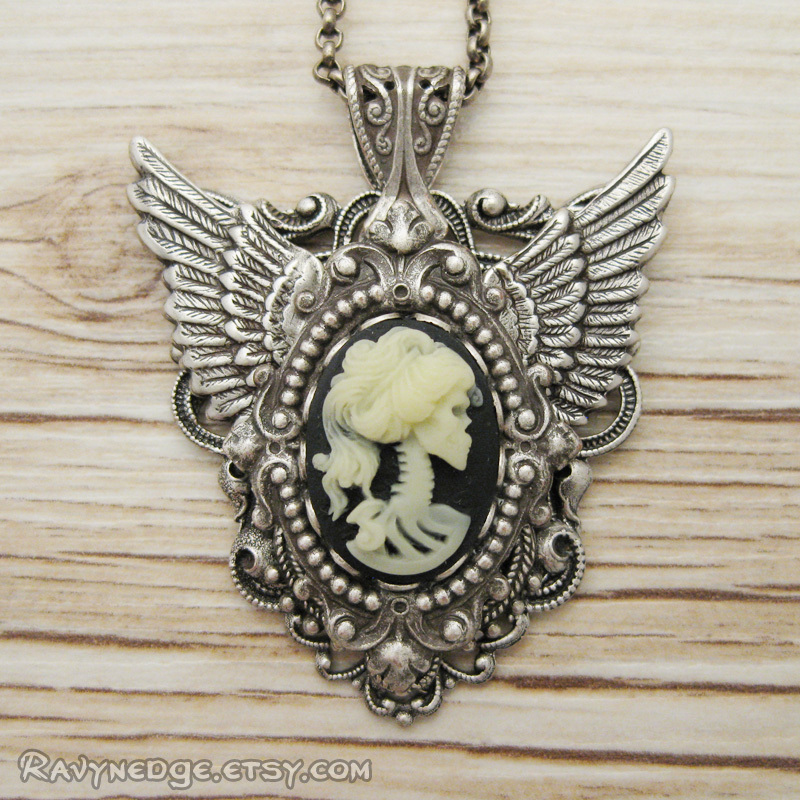 The most amazing portrait of a skeleton woman is immortalized in a resin cameo and set in an ornately detailed winged frame of silver plated brass stampings. 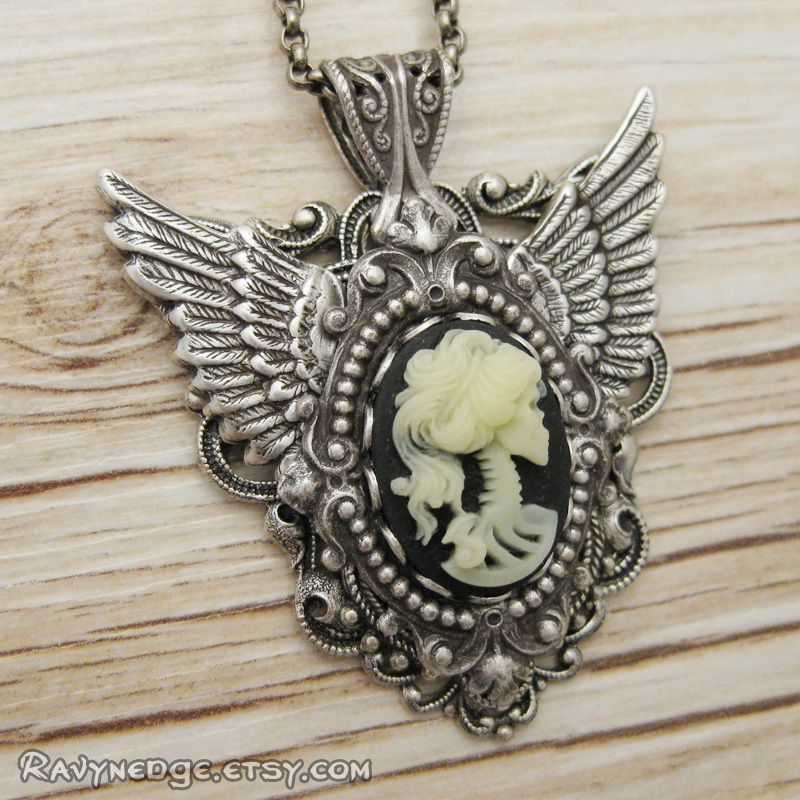 The skeleton woman is ivory on black and all metal has an oxidized finish to bring out the exquisite details. 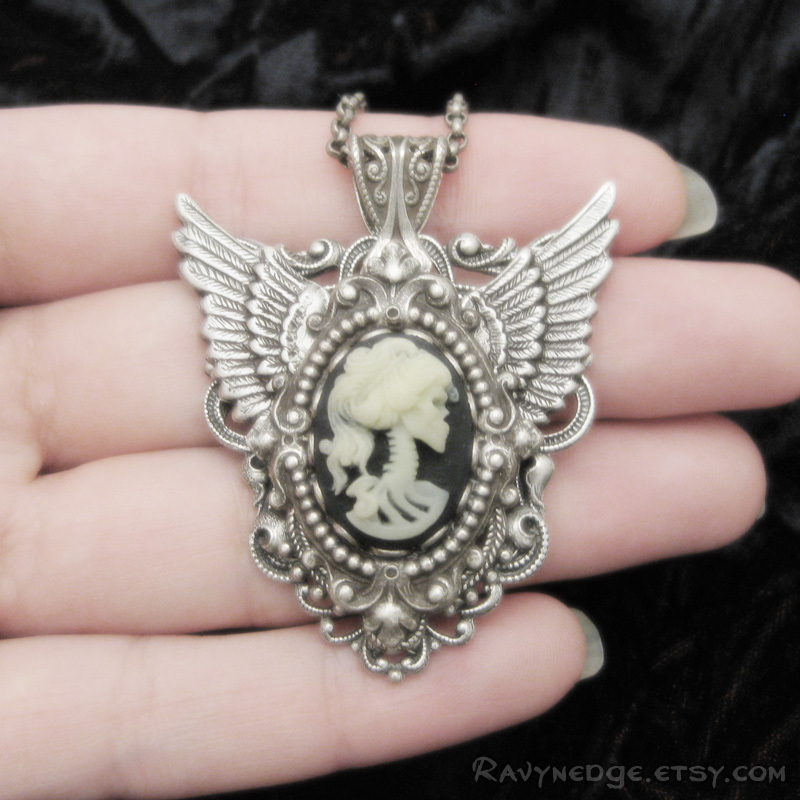 The pendant measures 1.9 inches (48.3mm) from the top of the bail and 1.6 inches (40.2mm) at the widest point. 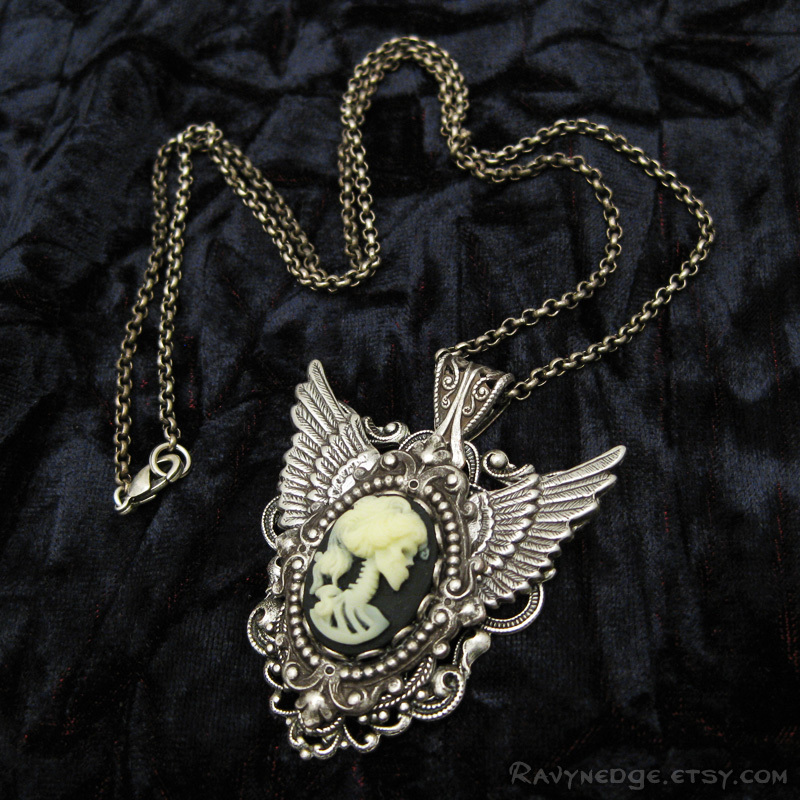 It hangs from a 20 inch (50.8cm) sterling silver plated steel chain and closes with a lobster clasp.